Mike Hough, Bright Young Folk. 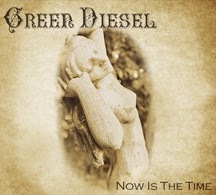 “With their debut album Green Diesel have crafted a harmonic and warming collection of songs, worthy of a jig on the deck of any ship (or living room for that matter). Refreshing in its assortment of rocked up folk songs and tales of the sea it’s clear that Green Diesel are only going to get stronger and this is an album not to be missed. Allan Wilkinson, Northern Sky Music Magazine.